The Destructive Alliance: Interactions of leukocytes, cerebral endothelial cells and the immune cascade in pathogenesis of multiple sclerosis. Role of B cells in Pathogenesis of Multiple Sclerosis. The Role of CD4 T Cells in the Pathogenesis of Multiple Sclerosis. The CD8 T cell in multiple sclerosis: suppressor cell or mediator of neuropathology? Immunopathogenesis of Multiple Sclerosis. Molecular mimicry in multiple sclerosis. Molecular ‘negativity’ may underlie multiple sclerosis: Role of myelin basic protein family in the pathogenesis of MS. Microchimerism and Stem Cell Tansplantation in Multiple Sclerosis. The Insulin-Like Growth Factor System in Multiple Sclerosis. Cell-derived Microparticles and Exosomes in Neuroinflammatory Disorders. Multiple sclerosis in children: Clinical, diagnostic, and therapeutic aspects. Migraine in multiple sclerosis. Multiple sclerosis as a painful disease. Multiple Sclerosis and Behavior. Cerebrospinal Fluid Analysis in Multiple Sclerosis. Multiple sclerosis in Isfahan, Iran. Gender Issues in Multiple Sclerosis. Differential Diagnosis of Multiple Sclerosis. Prognostic factors in multiple sclerosis. 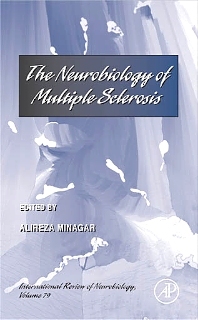 Neuroimaging in Multiple sclerosis. Detection of Cortical Lesions is Dependent on Choice of Slice Thickness in Patients with Multiple Sclerosis. The Role of Quantitative Neuroimaging Indices in the Differentiation of Ischemia from Demyelination – A analytical study with case presentation. HLA-DRB11501, -DQB10301, -DQB10302, -DQB10602 and -DQB1*0603 Alleles are Associated with More Severe Disease Outcome on MRI in Patients with Multiple Sclerosis. Glatiramer acetate: Mechanisms of action in multiple sclerosis. Evolving therapies for multiple sclerosis. Remyelination in multiple sclerosis. Trigeminal neuralgia: A modern-day analysis. Optic Neuritis and the Neuro-Ophthalmology of Multiple Sclerosis. Neuromyelitis Optica: New Findings on Pathogenesis. Multiple sclerosis (MS) is an immune-mediated neurodegenerative disorder of the human central nervous system (CNS) which usually affects young adults with certain genetic backgrounds who are then exposed to certain precipitating environmental antigen(s). Despite major advances of the past two decades in understanding the pathophysiology of MS, and in spite of the introduction of new immunomodulatory and immuno-suppressive agents which may slow down disease progression and delay the onset of disability, the “cause” and the “cure” for MS remain elusive. This volume of International Review of Neurobiology focuses on MS and related disorders. The volume can be divided into various sections with the main emphasis on MS pathogenesis, clinical features and epidemiology, neuroimaging, and treatment. The ultimate goal of this book is to encourage further research into the pathogenesis of this elusive disease.